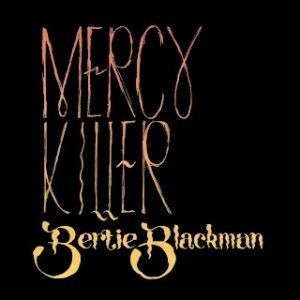 2009 was a pretty good year for Aussie singer songwriter Bertie Blackman. It was the year she released her latest album ‘Secrets And Lies’, the year she hit the top 50 for the first time, she picked up industry accolades including an AIR Award for Breakthrough Independent Artist of The Year and capped it all off with an ARIA for the Best Independent Release. And there’s every chance that 2012 could be even better for the singer, with her latest tune ‘Mercy Killer’ recently serviced to media; immediately hitting No.6 on this week’s list of the Most Added songs to Australian radio. The quirky, uptempo, mature pop track, released recently to iTunes, is a natural progression from her sparkling singles ‘Heart’ and ‘Thump’ from the previous LP, and further cements Bertie as one of the most exciting female talents in the country right now. Produced by François Tétaz, whose previous work includes tracks with Gotye and Architecture In Helsinki, the track is all about confessing ones’ sins. ‘Mercy Killer’ is the lead single from Ms Blackman’s fourth album ‘Pope Innocent X’, due later in the year.